Why is Sage 300c Project is a better choice for you than generic ERP? Project-based companies have their own distinct needs and requirements, and most generic ERP struggles to meet the requirements of a project base firm. They are not designed to capture cost in project-based environment like engineering procure fabrication, engineering services or construction company. Project accountant needs to be able to the see nature of expenses, resources and time and materials cost to complete the project, variation- orders and sub-contractor cost for the project and Job-in-progress, billing and to manage cost overrun. Sage 300-ERP Project & Resource Manager has all the tools and features you need to make sure every job is profitable and efficient. If you are struggling with your current system, give us a call, we want to help you! 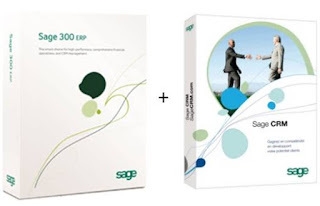 What,s New in Sage 300 ver. 2019? Sage announced it will be releasing the all new version of Sage 300 / Sage 300c v2019 on August 20, 2018. In this informative webinar session, we’ll review all the new features in this latest release. Improved & Modernized Technical Architecture – Several older technologies within the Sage 300 architecture have been retired and replaced, improving performance, scalability and security. Improved Company-wide Business Visibility – A new Global Search utility allows customers to quickly search across all records and transactions, and drill down into results. Streamline Business Activities – An entirely new integration with Sage CRM allows Sage 300 customers to gain better business insight, increase team productivity and unlock the secret of customer success.